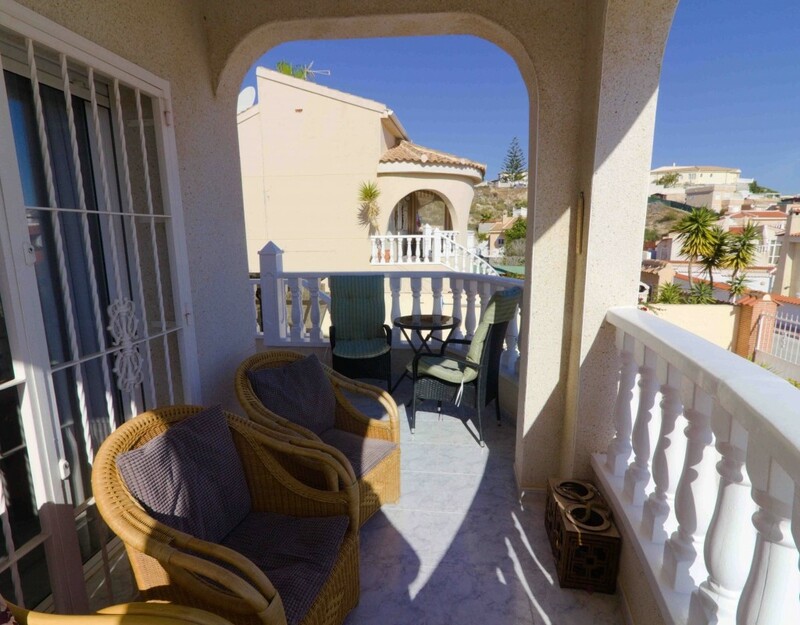 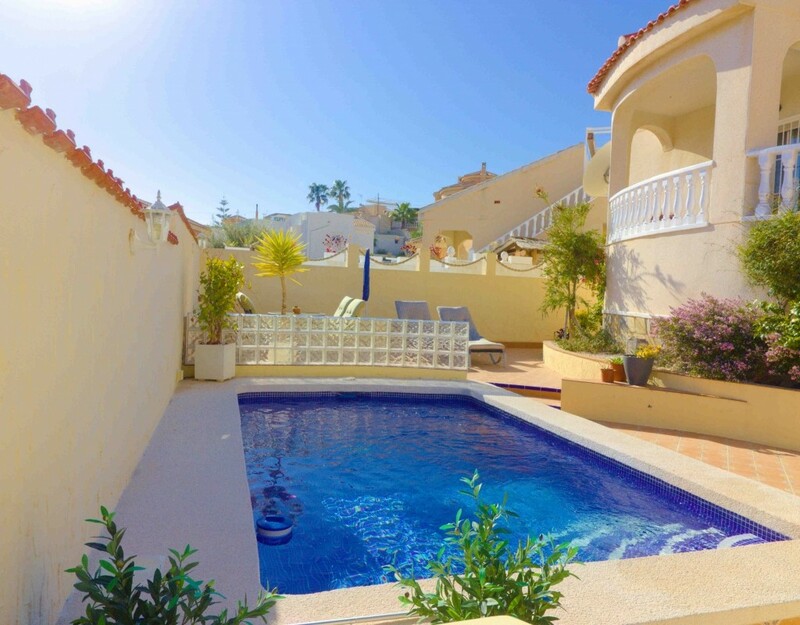 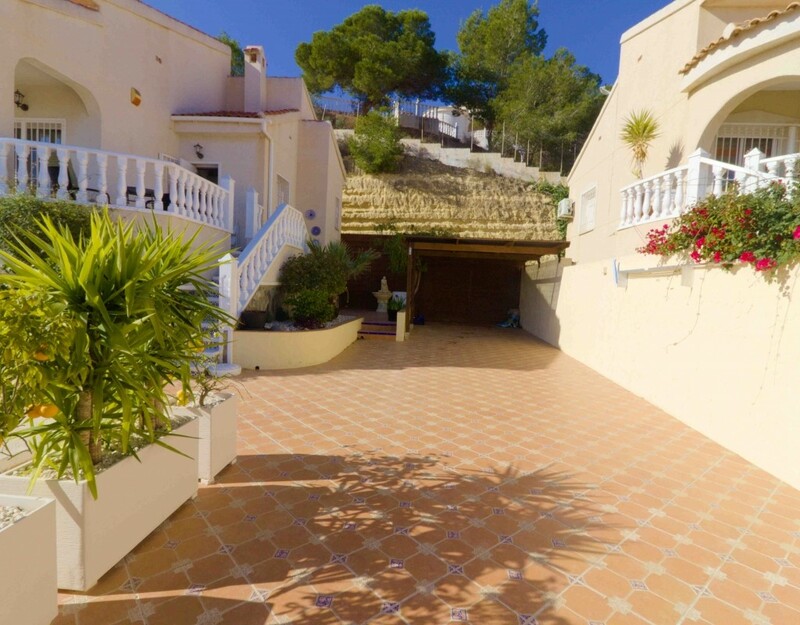 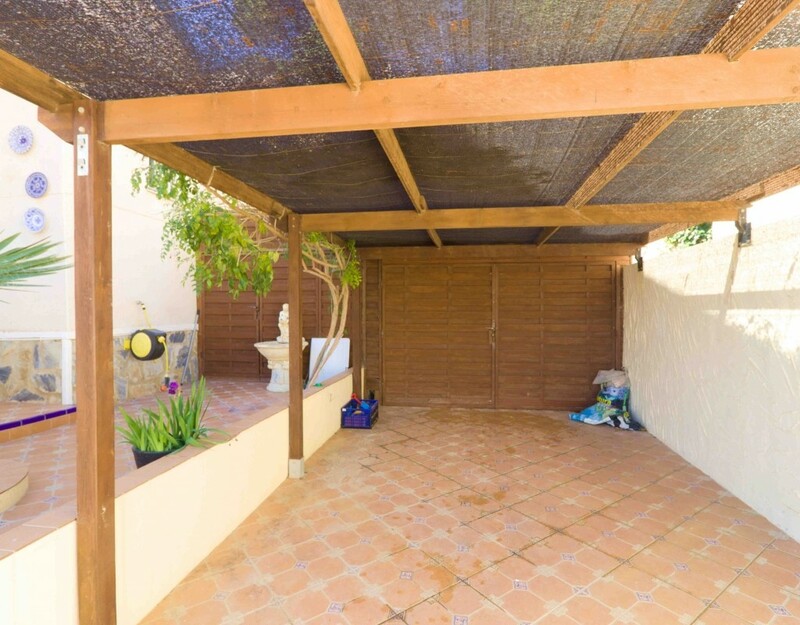 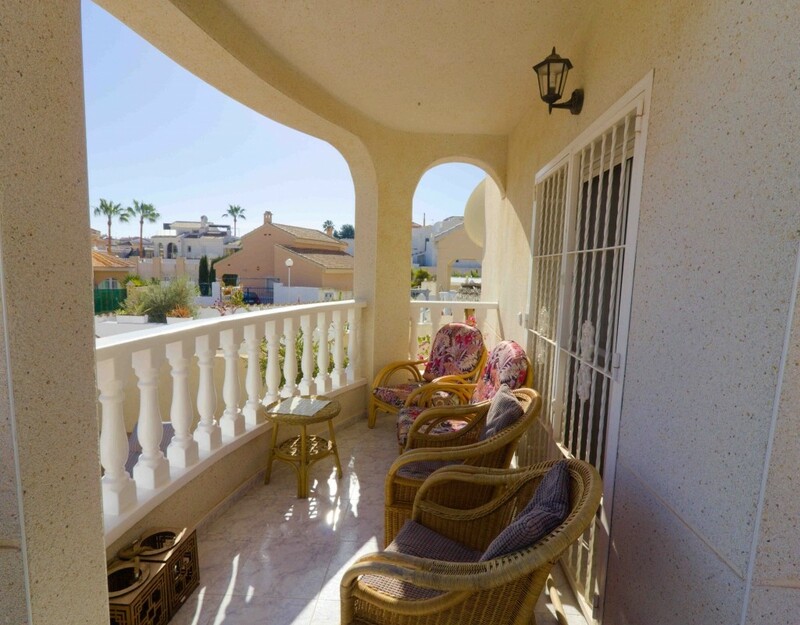 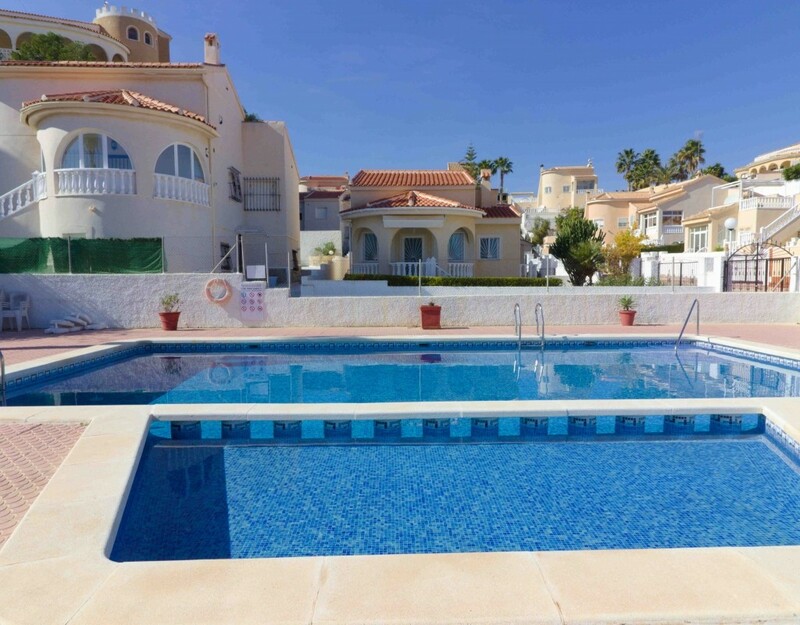 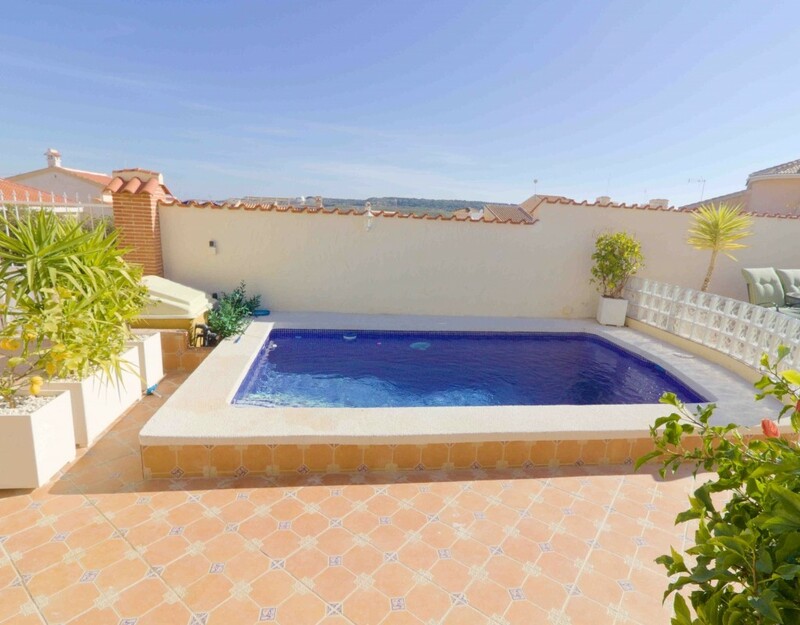 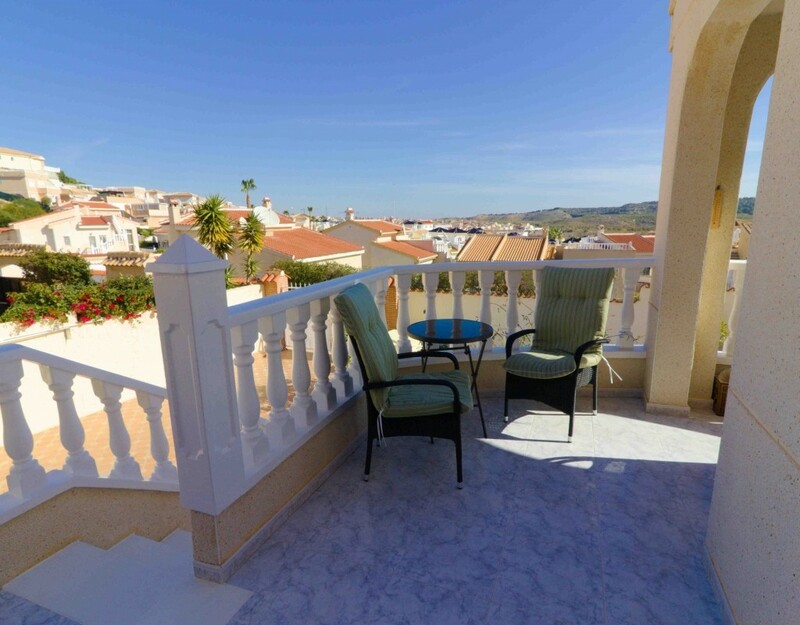 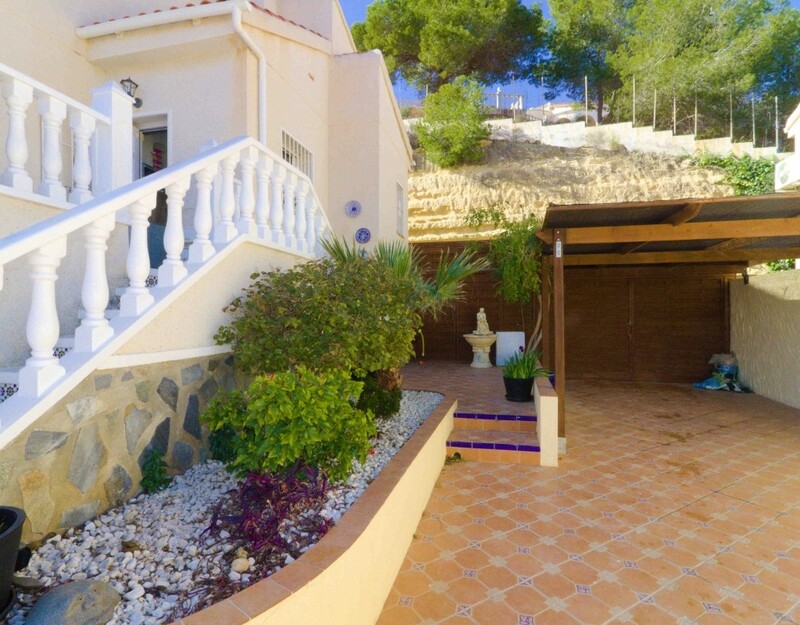 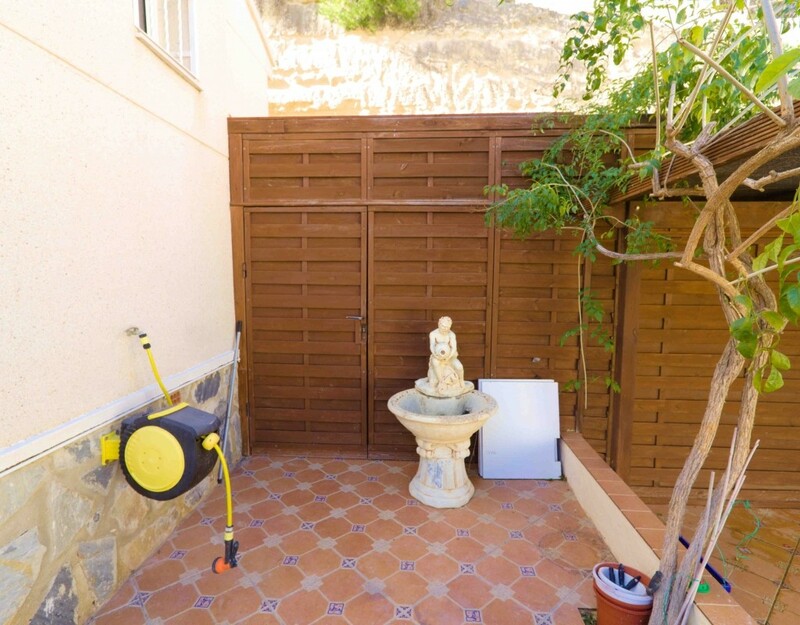 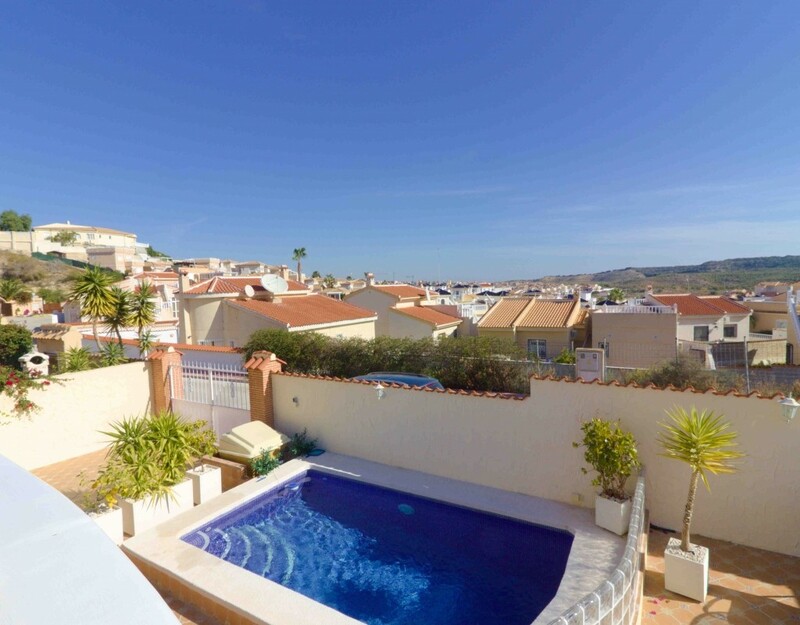 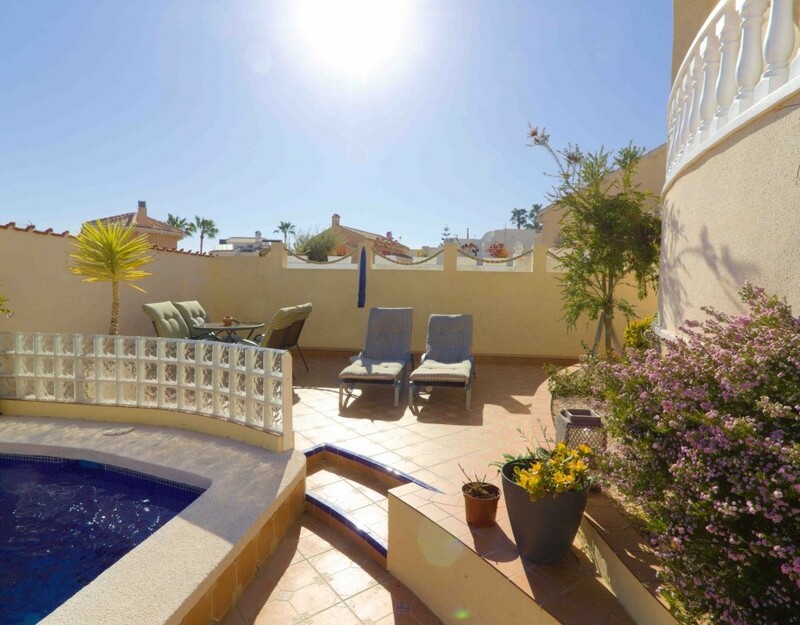 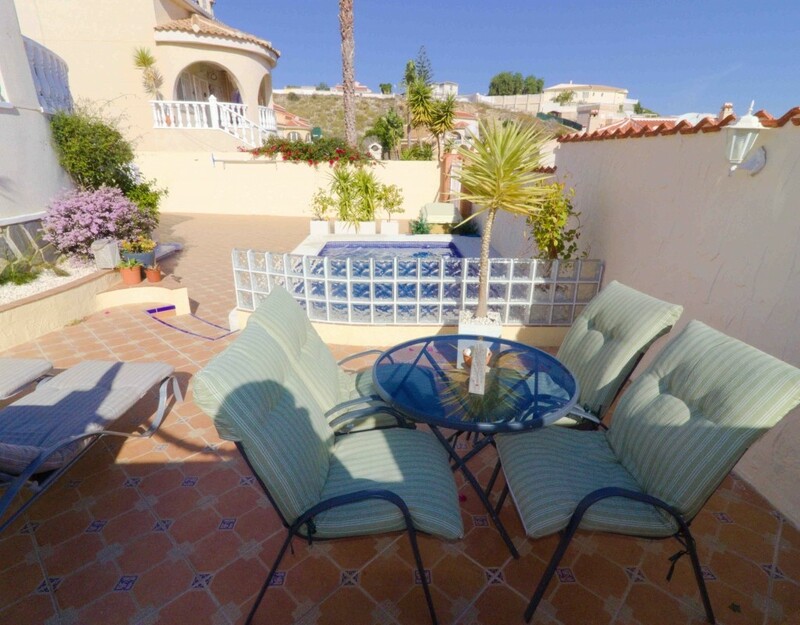 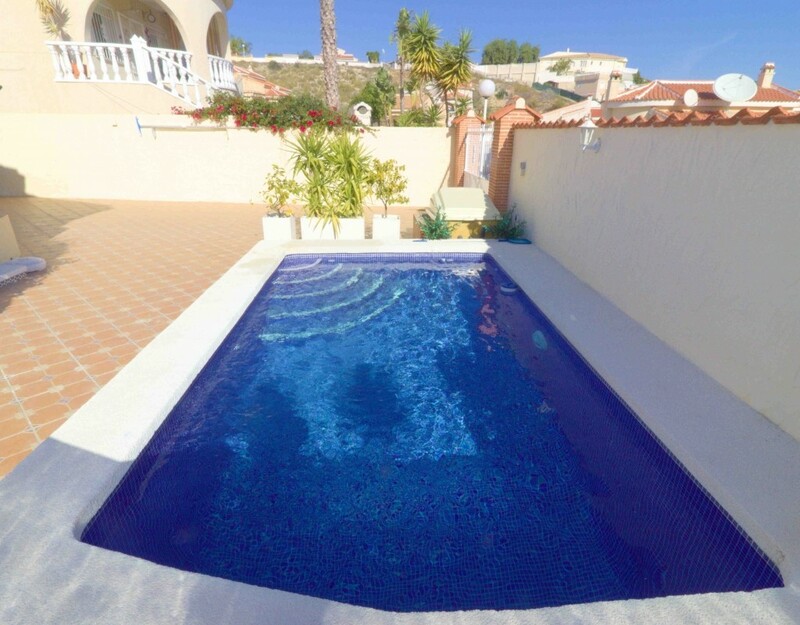 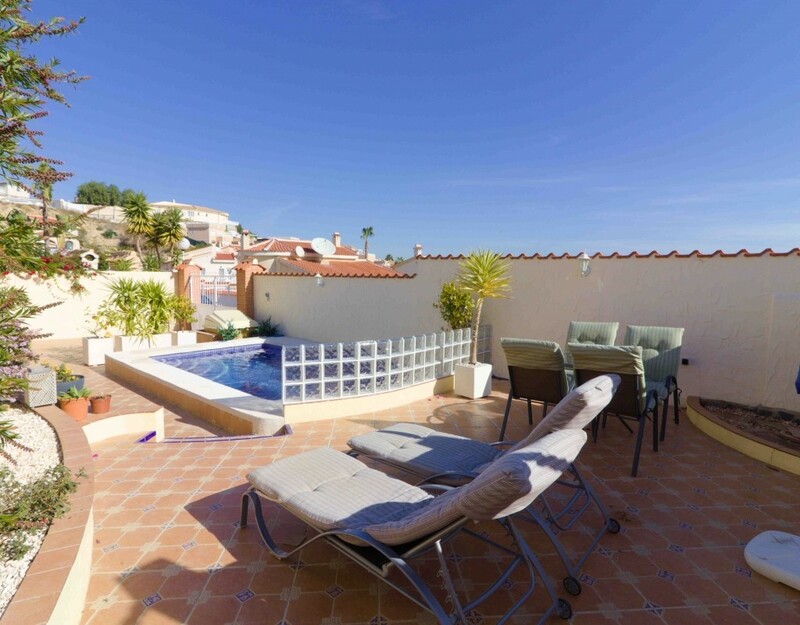 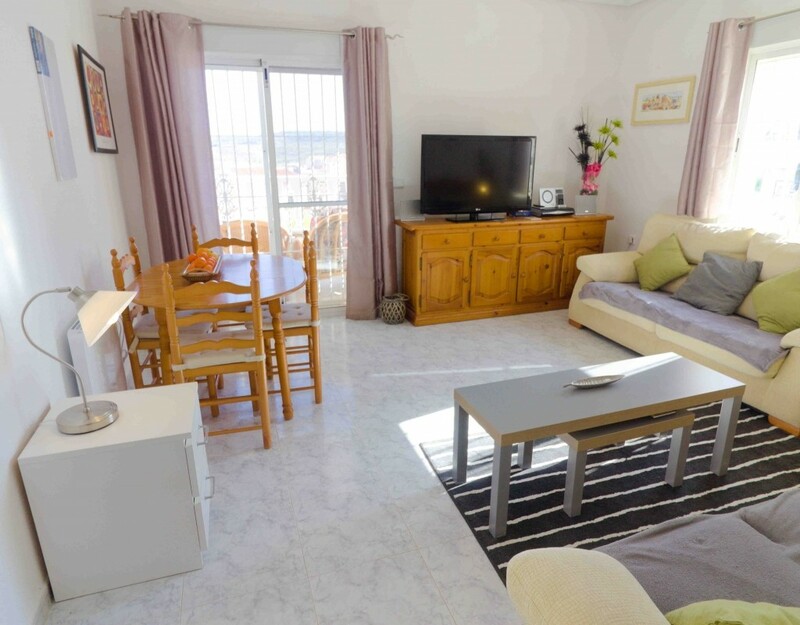 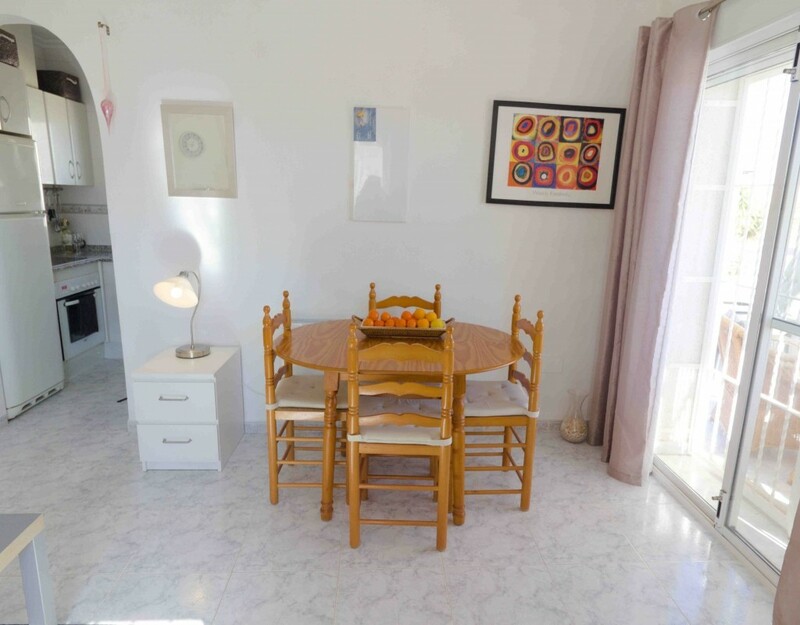 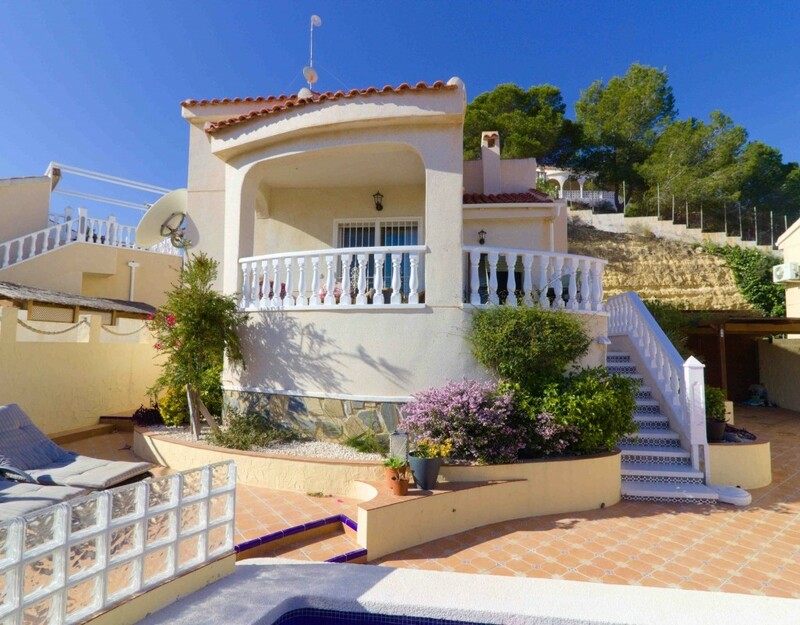 This delightful property has been beautifully maintained by the current owners to a very high standard and offers an attractive double sided staircase leading up to a fantastic covered sun terrace with superb open views. 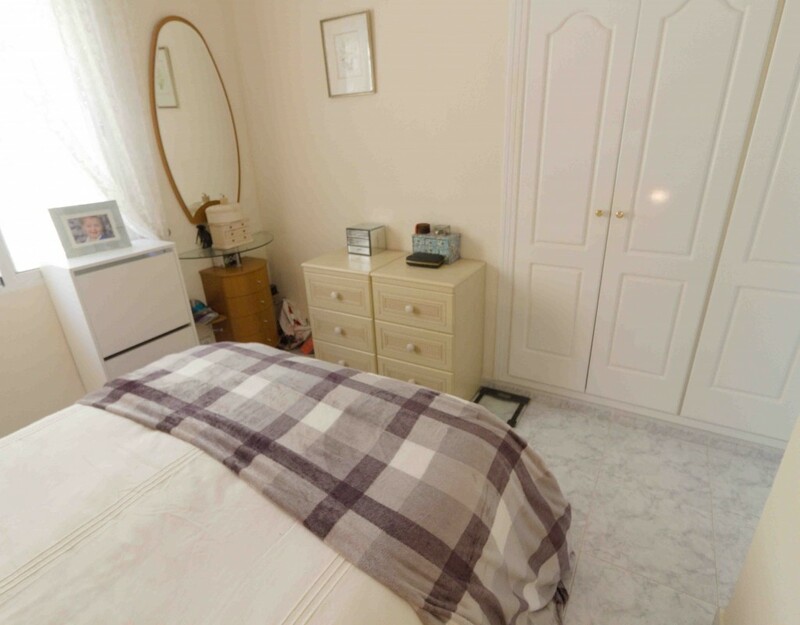 On entering the property you will find a very inviting, spacious, bright and airy open plan lounge/diner with a feature fireplace plus patio doors out onto the covered sun terrace, a compact fully fitted separate kitchen, a wonderful master bedroom with fitted wardrobes which also boasts its own modern en-suite bathroom with walk in shower, a double guest bedroom also with fitted wardrobes plus a good size family bathroom. 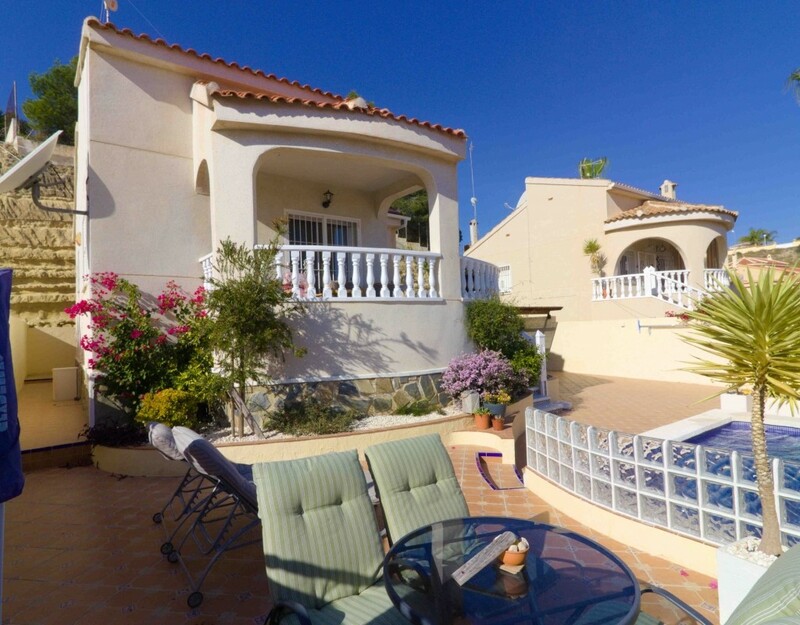 Outside is where this property really excels as the villa sits on a very large, private, easy maintenance plot of 329m2 and offers; a wonderful private swimming pool, a terrific raised patio area, ideal for sunbathing, a carport with a wooden gate garage which has access into a very large separate utility/laundry room, a large driveway plus ample room in which to enjoy the amazing climate whether it be for relaxing, entertaining or dining al fresco. 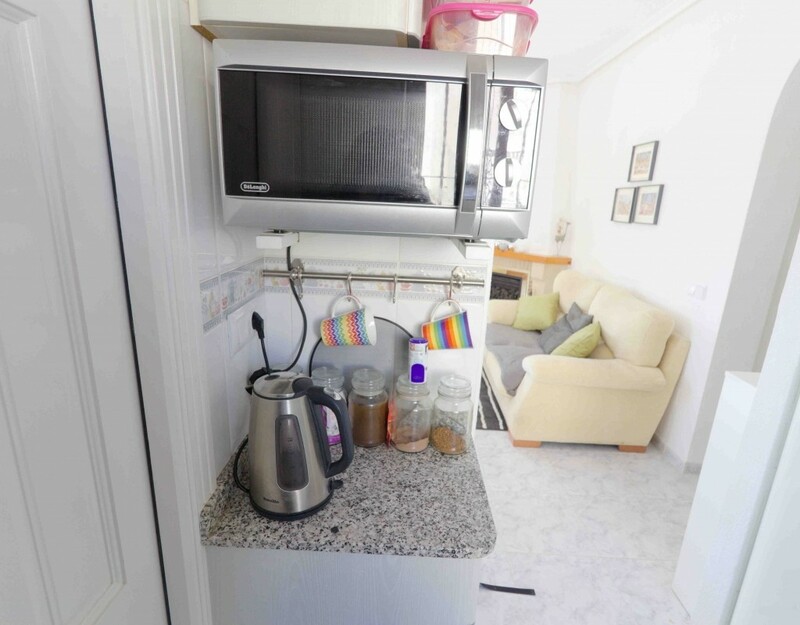 There is further storage located in an underbuild area. 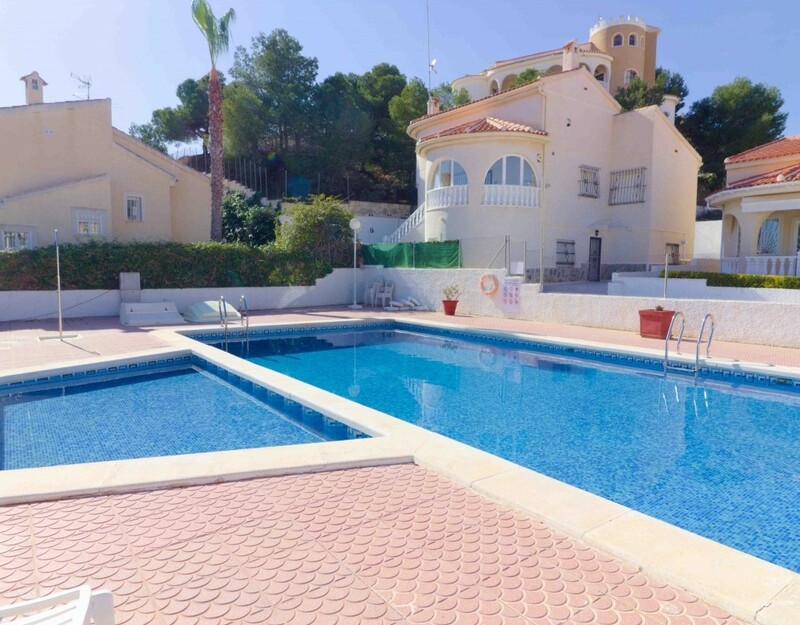 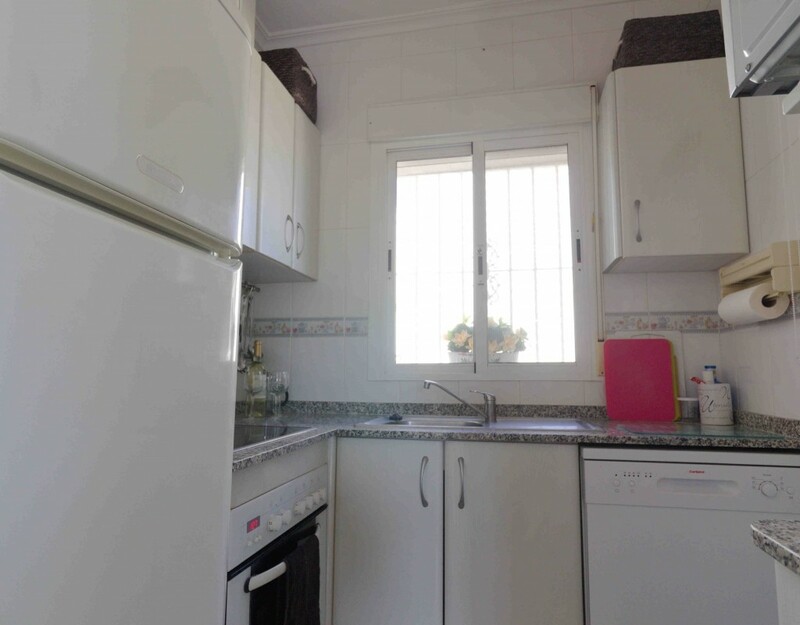 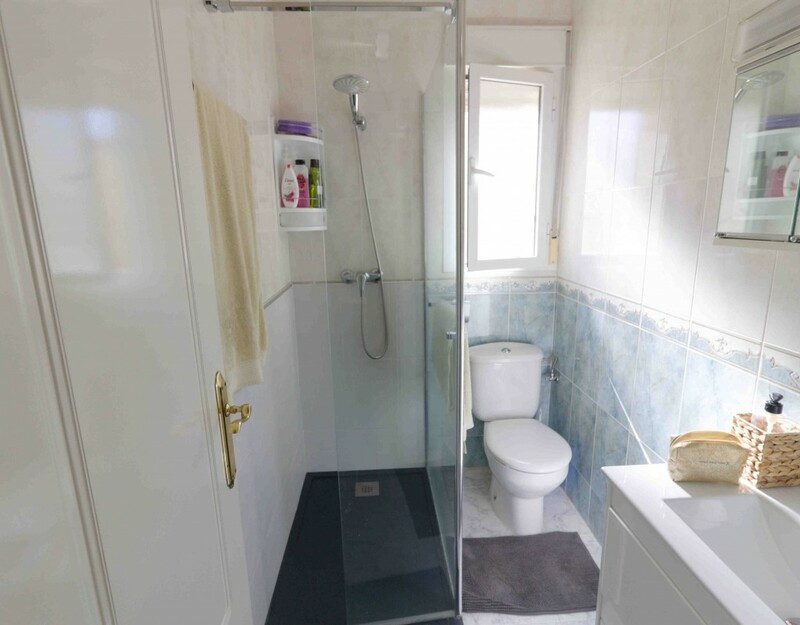 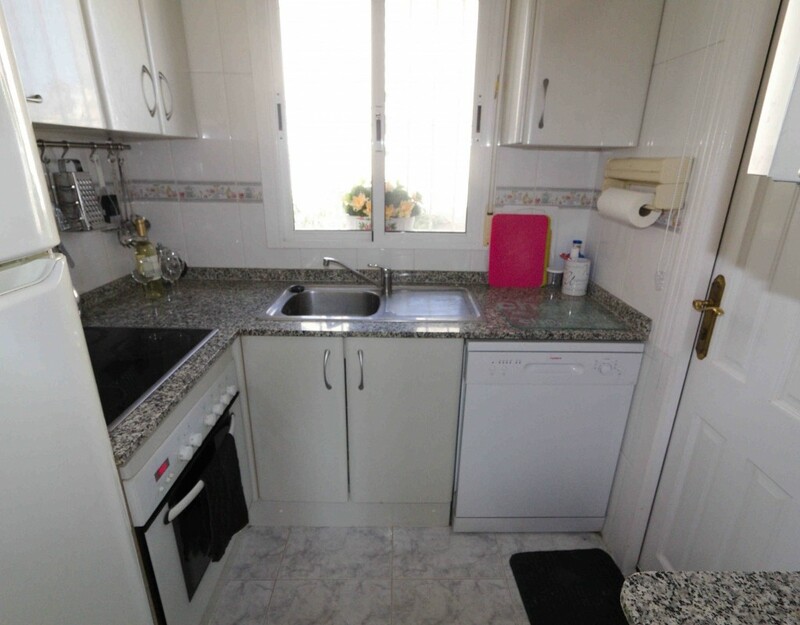 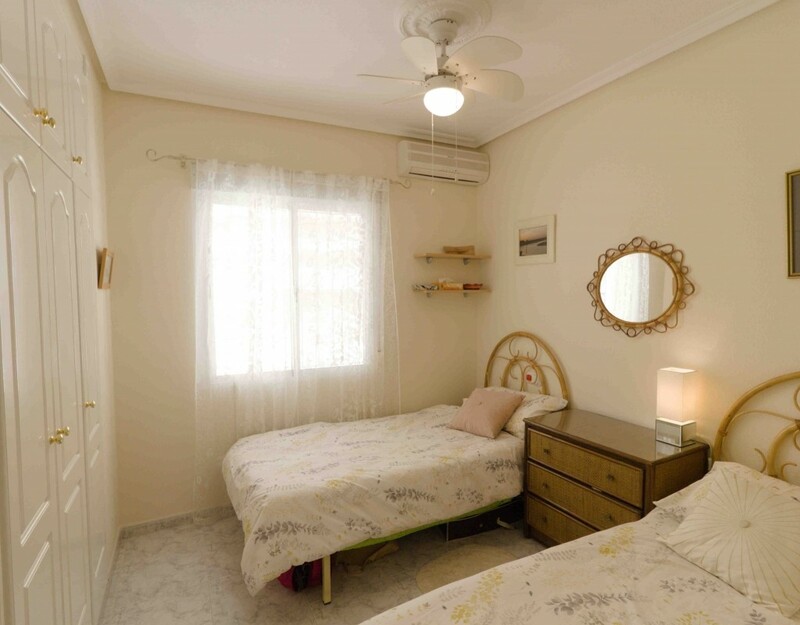 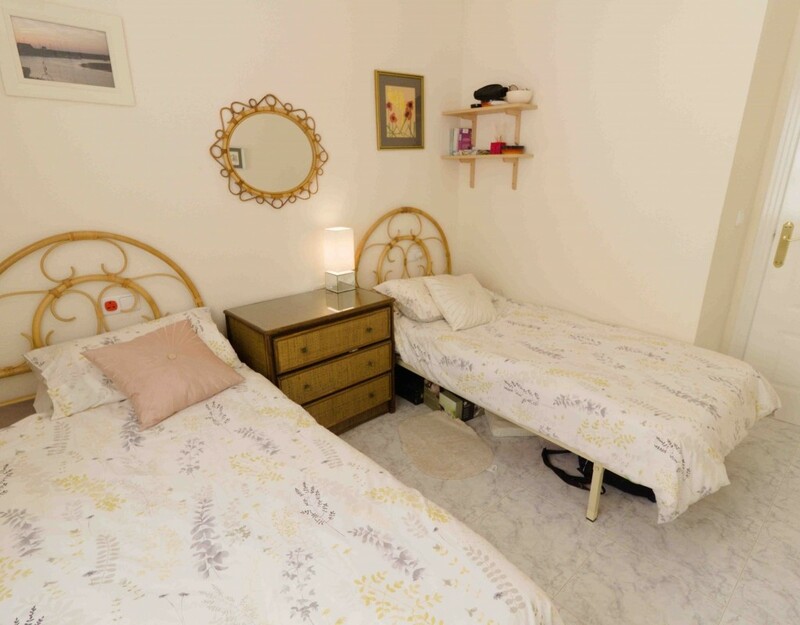 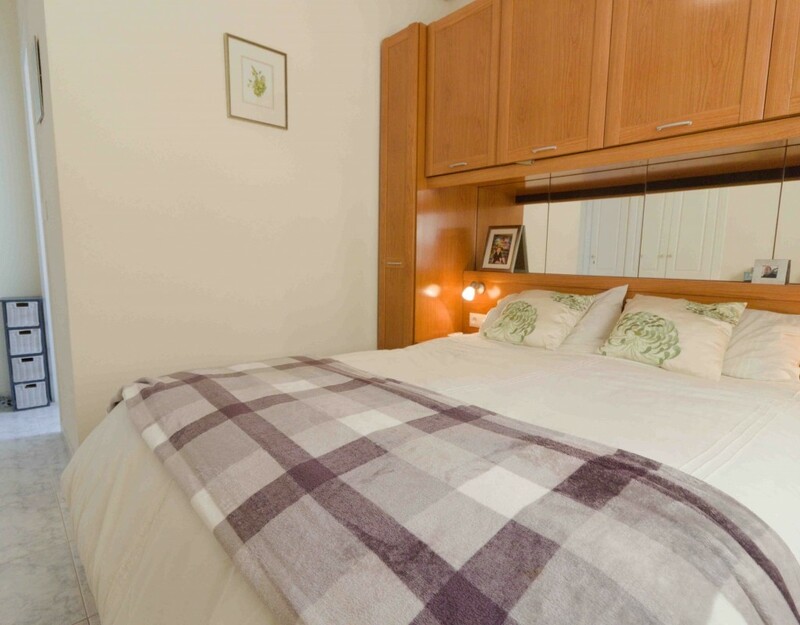 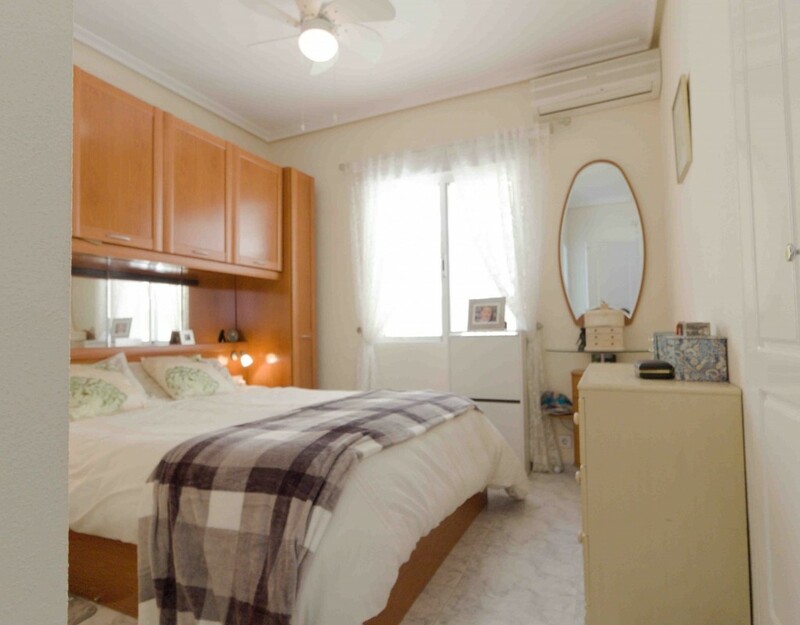 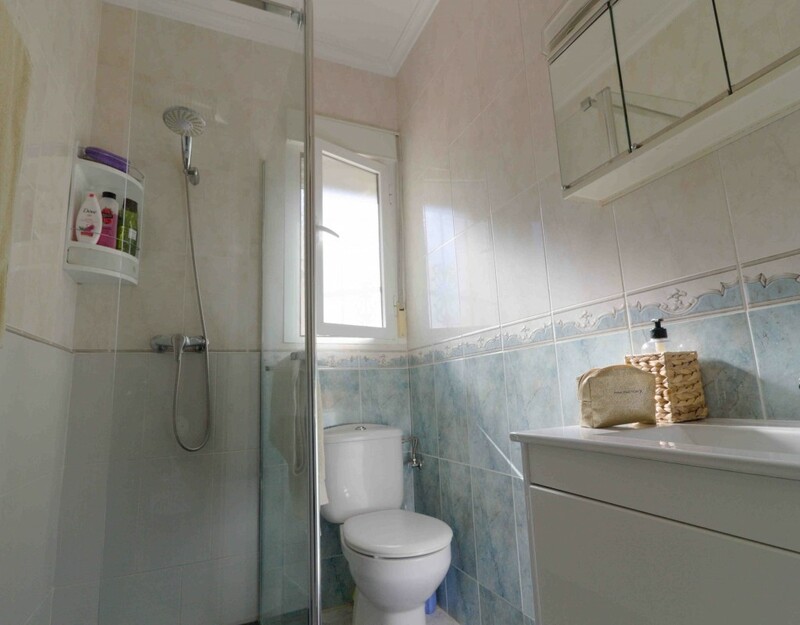 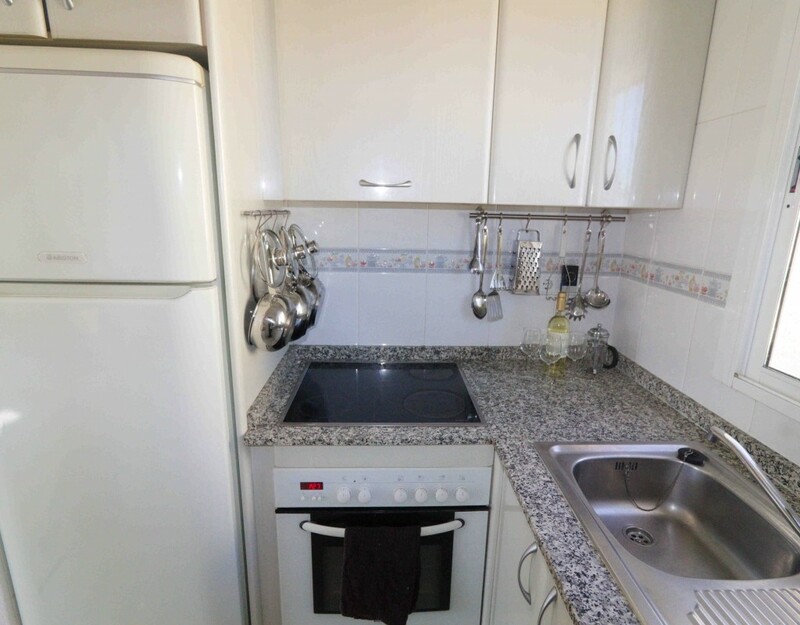 This superb property also benefits from air con, ceiling fans, satellite TV, Internet, access to a terrific communal pool just a stones throw away and will be offered for sale part furnished to include white goods. 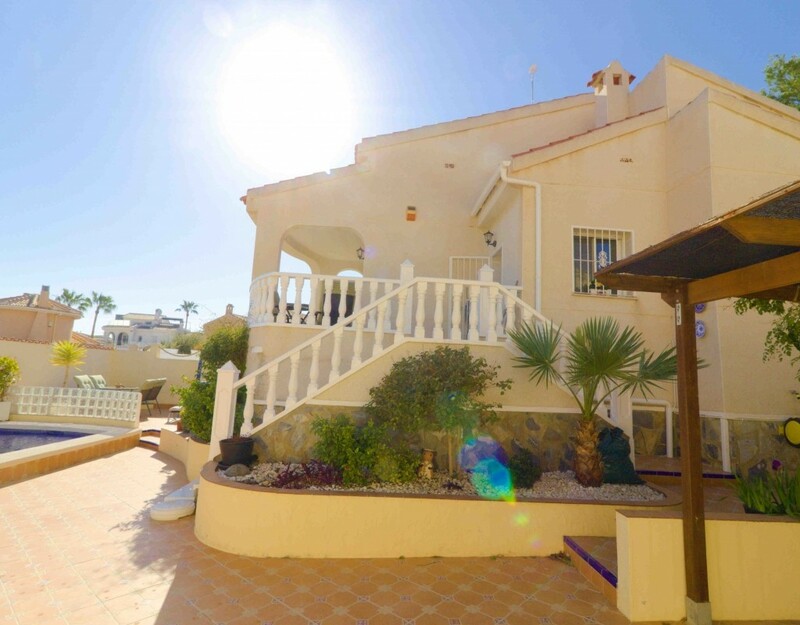 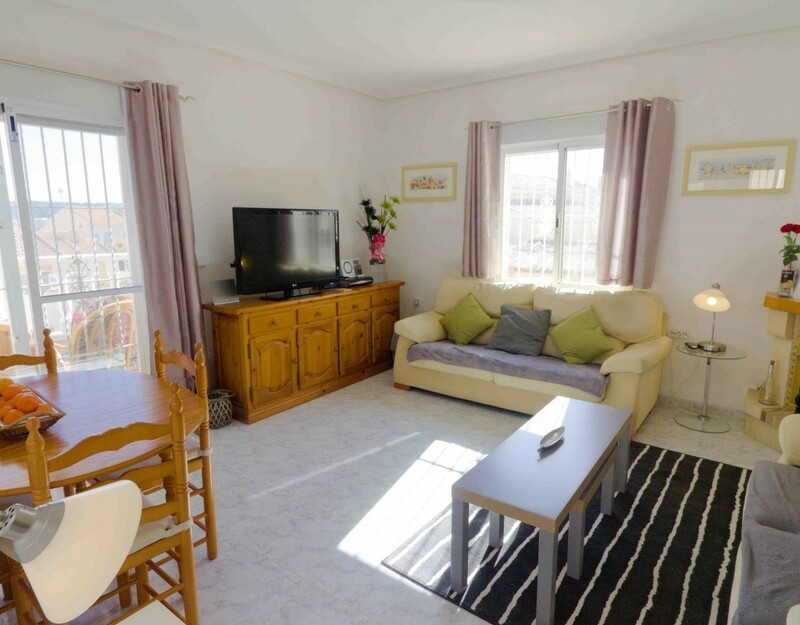 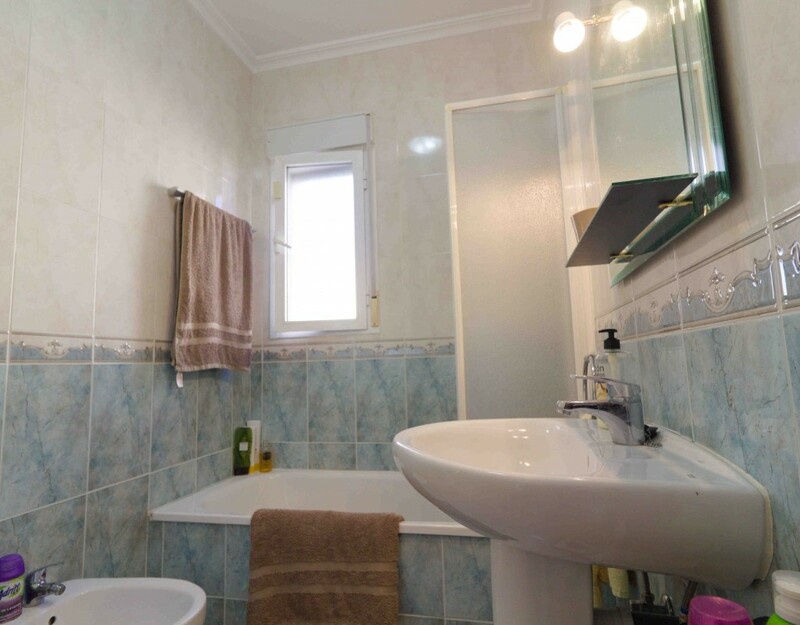 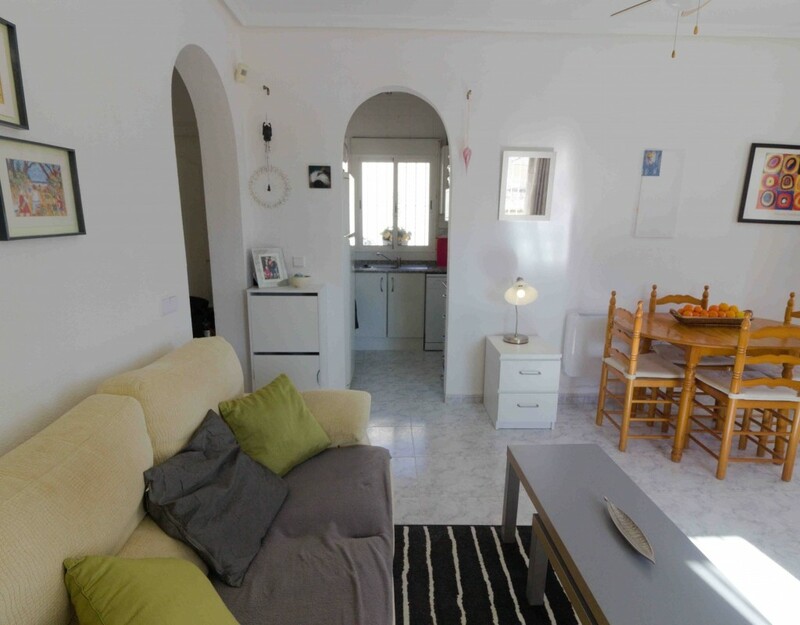 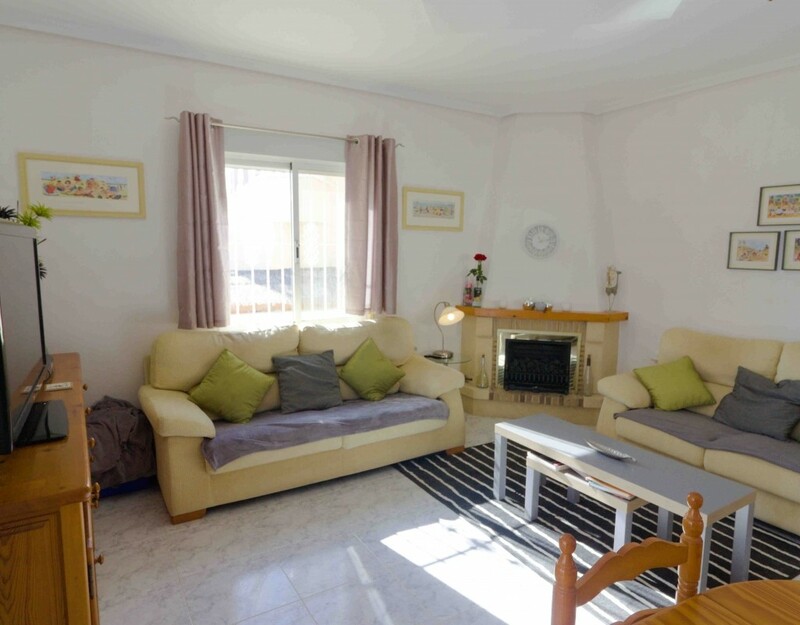 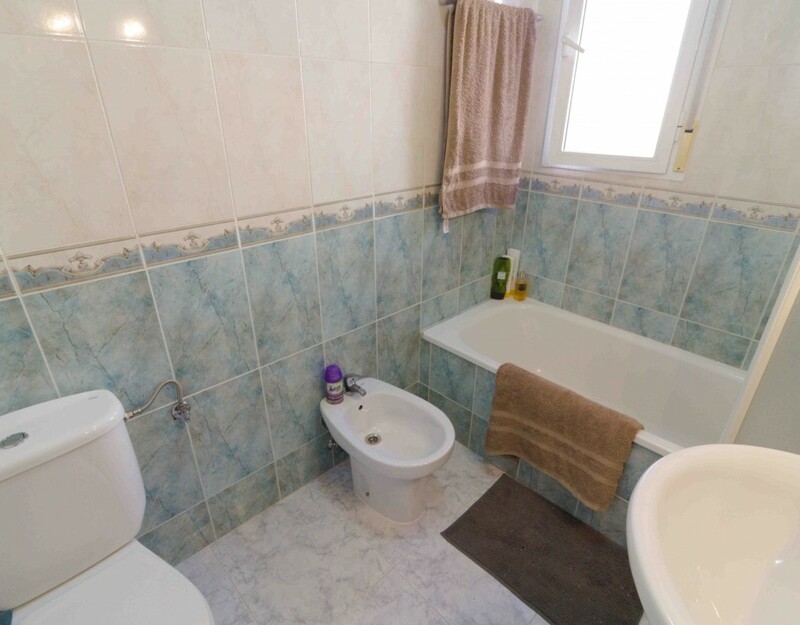 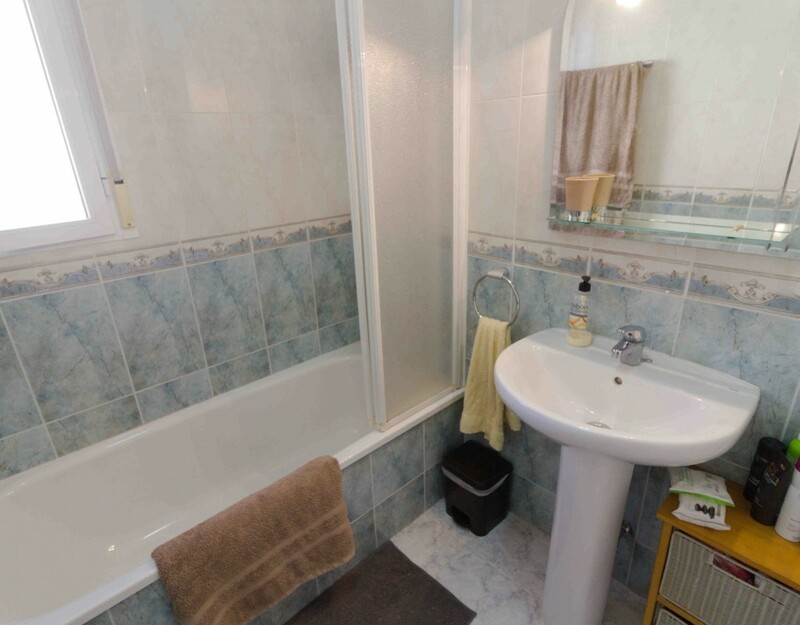 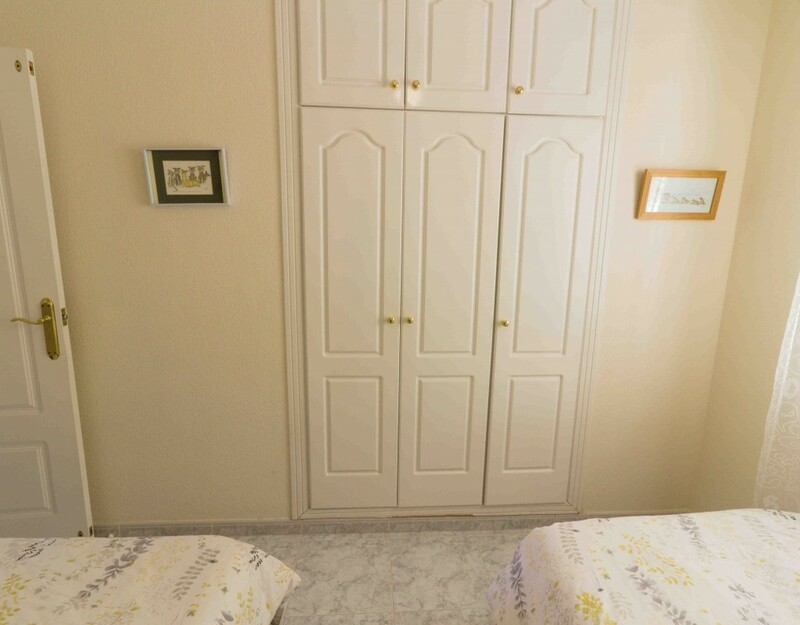 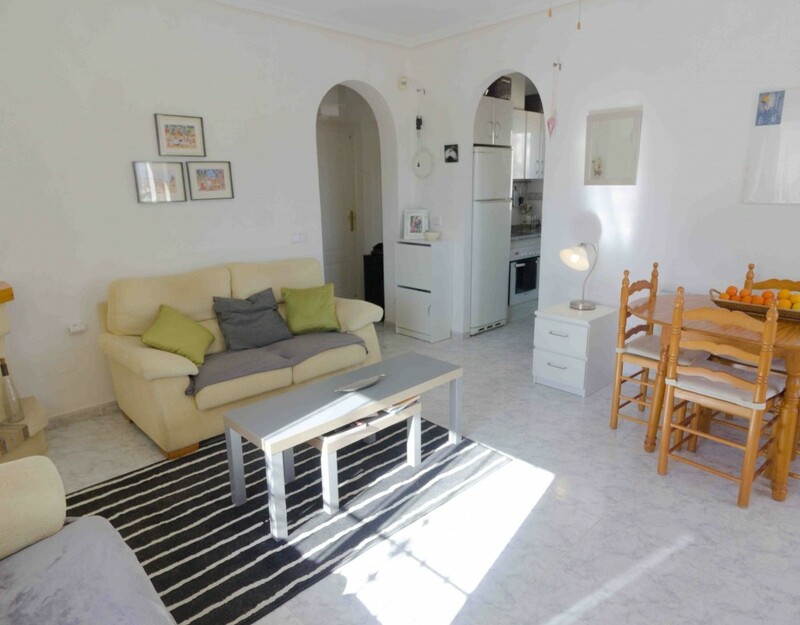 Due to its size, condition and location this charming villa offers an excellent opportunity to own either a holiday or permanent home in the sun.